This is a large 41mm. 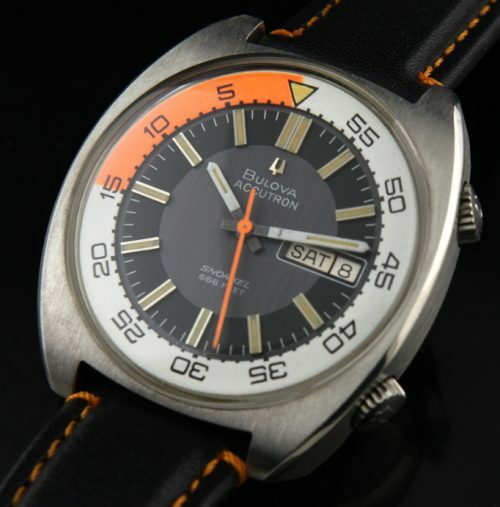 stainless steel BULOVA Accutron Snorkel 666 feet dive watch in all original condition, including the original setting crowns. The vibrant orange, white and black dial, plus the great patina in the lume are all original. The movement was just serviced-accurate and a new battery installed. The case displays amazing original condition.I really love the look of these watches on the wrist.